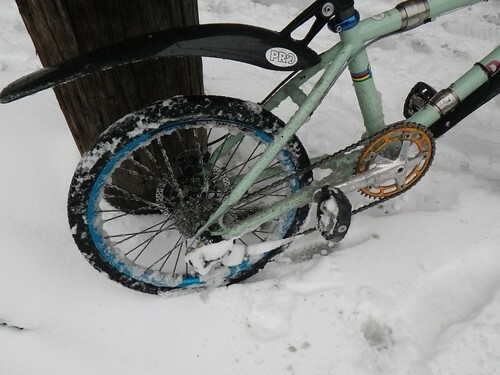 I’m deeply depressed that I no longer have a dropbar mtb for this year’s Seattle snow event. 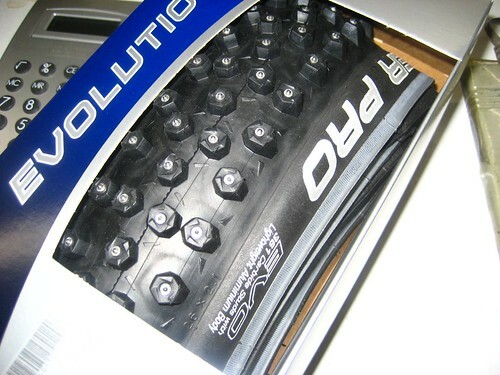 My Davidson BMX has a disc brake, but even if I had studded tires, 20” do not roll over the soft stuff well. Rather than crushing the car-less, snowed over roads and pretending everything covered in white is an invitation to ride, I’ve been surfing out of control in the half powder, half slush. Definitely less fun and way more crashing. The difference between 20” and 26” is so obvious in soft snow that I am prepared to sign off on the likely advantage 29er would have over 26”. I think that in pure roll 29er would be ideal, but I think I’d stick with a 26” since it’s unlikely that I could hang a dropbar on a 29er my size and not be overly stretched out. I could refit my Redline Conquest Carbon with disc brakes, but I really like that bike with the Avid Shorty Ultimate brakes for racing….and I wouldn’t be able to fit 2.1” Schwalbe Ice Spiker Pro tires anyways.